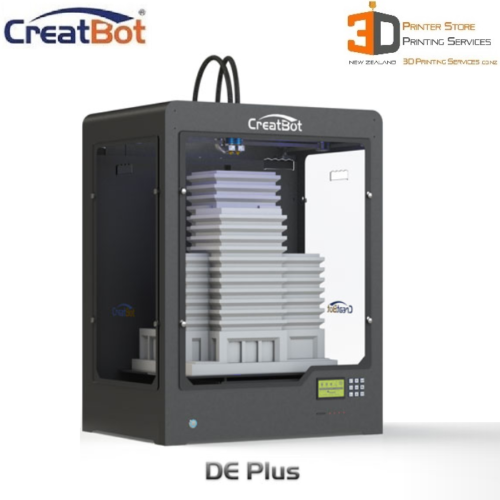 The Creatbot D600 is a top of the line Commercial grade FDM 3D printer. Large 600mm x 600mm x 600mm enclosed build volume makes it possible to print large parts one piece with ease. Free training is offered with our Creatbot D600. 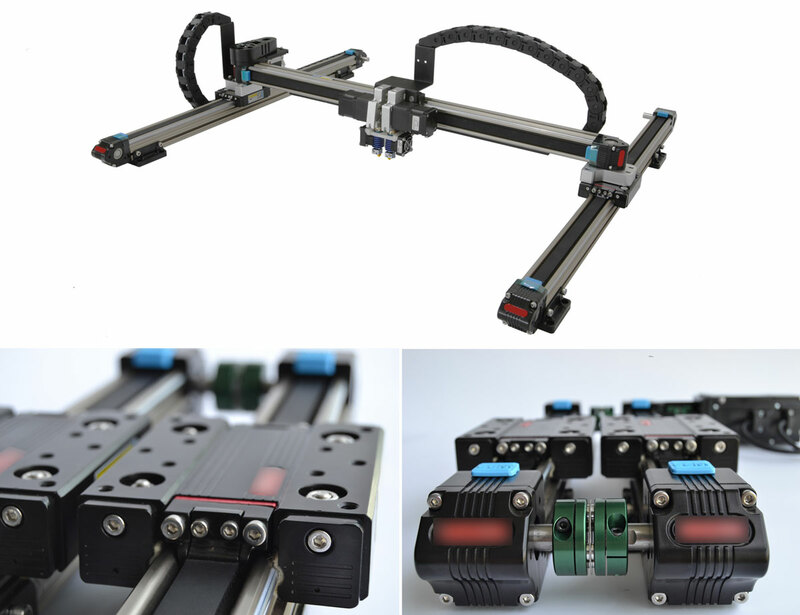 We also discuss your product specific requirements & help you get the best possible outcomes from these machines. We also offer free implementation assistance, so you can rely on a team right here in Auckland. Suited to producing large yet highly accurate 3d models, the D600 has every professional grade feature you would expect. Please see full specification details below. 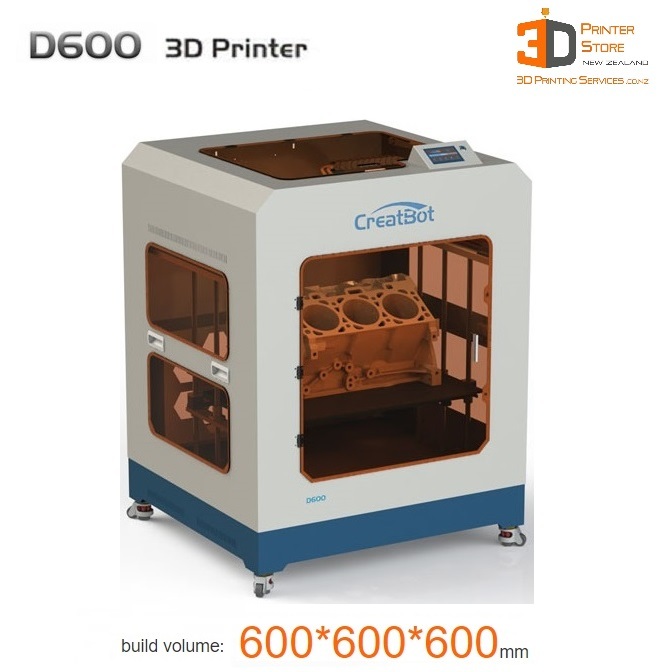 Contact us today to see how our leading edge Creatbot D600 could give your business & an edge in product development. Filament Compatibility: PLA, ABS, Carbon Fiber, Wood, Nylon, Poly Carbonate, PETG, HIPS, PolyPropelene, Flexible TPU, PVA, etc. Completely non-proprietary filament system that works with any brand of standard filament currently available for 3d printers. 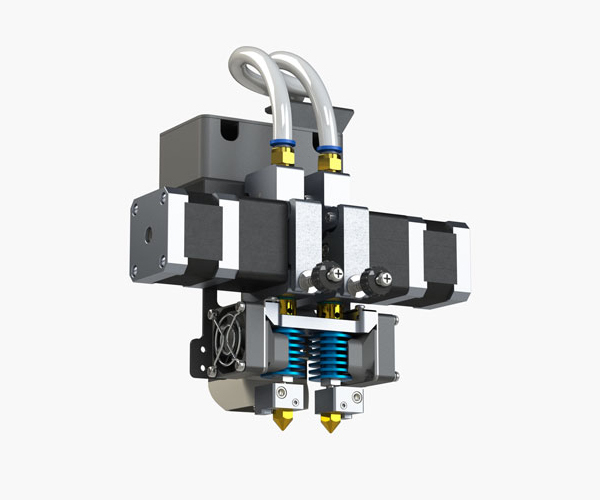 Free Software included, Open Source Software, Simplify3d also supported. Kindly note these are delivered via sea in approx 5-6 weeks delivery time. Express delivery in 2-3 weeks by Air Courier is available for an extra charge based on your location. Certain access requirements may be required at delivery premises due to size of package being a 1 cubic metre pallet.